محمودزاده, داود, کتابچی, حامد, عطائی آشتیانی, بهزاد. (1395). مدیریت بهینه منابع آب زیرزمینی جزیره کیش: تحلیل حساسیت راهبردهای بهینه نسبت به تغییرات محیطی مختلف. مجله آب و فاضلاب, 27(2), 61-70. داود محمودزاده; حامد کتابچی; بهزاد عطائی آشتیانی. "مدیریت بهینه منابع آب زیرزمینی جزیره کیش: تحلیل حساسیت راهبردهای بهینه نسبت به تغییرات محیطی مختلف". مجله آب و فاضلاب, 27, 2, 1395, 61-70. محمودزاده, داود, کتابچی, حامد, عطائی آشتیانی, بهزاد. (1395). 'مدیریت بهینه منابع آب زیرزمینی جزیره کیش: تحلیل حساسیت راهبردهای بهینه نسبت به تغییرات محیطی مختلف', مجله آب و فاضلاب, 27(2), pp. 61-70. محمودزاده, داود, کتابچی, حامد, عطائی آشتیانی, بهزاد. مدیریت بهینه منابع آب زیرزمینی جزیره کیش: تحلیل حساسیت راهبردهای بهینه نسبت به تغییرات محیطی مختلف. مجله آب و فاضلاب, 1395; 27(2): 61-70. آب‌های زیرزمینی در مناطق ساحلی، یکی از منابع اصلی آب شیرین محسوب می‌شوند به‌طوری که حفاظت این منابع از خطر پیشروی آب شور بر اساس یک الگوی مدیریتی بهینه، یک اولویت است. برای این منظور، می‌توان از مدل‌های تصمیم‌گیری برای تعیین راهبردهای مدیریتی بهینه استفاده نمود. آثار تغییرات محیطی بر روی منابع آب زیرزمینی در این مطالعه مورد بررسی قرار ‌گرفت. به‌منظور تحقق این هدف، مدل تلفیقی شبیه‌سازی-بهینه‌سازی منابع آب زیرزمینی جزیره کیش با بهره‌گیری از مدل عددی سوترا و روش بهینه‌سازی فراکاوشی جامعه مورچه‌ها مورد استفاده قرار گرفت. نتایج بررسی سناریوهای مختلف فرضی تغییرات محیطی نشان داد که اثر تغییرات خط ساحلی ناشی از افزایش سطح آب دریا به‌خصوص در مناطق پست، عامل مهم تأثیرگذار بر لنز آب شیرین است و تغییرات نرخ تغذیه نیز از عوامل بسیار مهم و مؤثر بر سیستم آب زیرزمینی تلقی می‌شود. همچنین لحاظ نمودن آثار تغییرات محیطی در مدیریت بهینه آبخوان جزیره کیش، منجر به کاهش بیش از 20 درصدی مقدار مجاز برداشت شده است که نشان دهنده حساسیت بالای مدیریت منابع آب زیرزمینی جزایر کوچک به این تغییرات است. Groundwater in coastal areas is an essential source of freshwater that warrants protection from seawater intrusion as a priority based on an optimal management plan. Proper optimal management strategies can be developed using a variety of decision-making models. The present study aims to investigate the impacts of environmental changes on groundwater resources. For this purpose, a combined simulation-optimization model is employed that incorporates the SUTRA numerical model and the evolutionaty method of ant colony optimization. 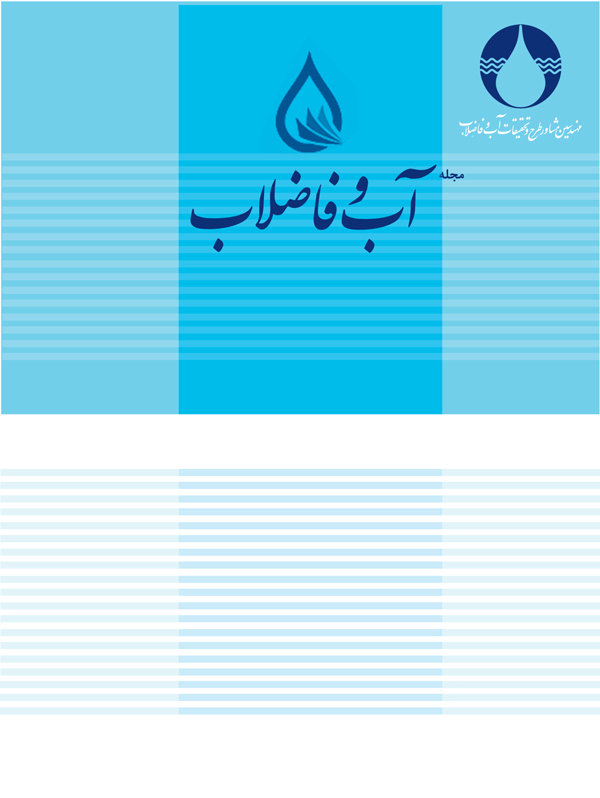 The fresh groundwater lens in Kish Island is used as a case study and different scenarios are considered for the likely enviromental changes. Results indicate that while variations in recharge rate form an important factor in the fresh groundwater lens, land-surface inundation due to rises in seawater level, especially in low-lying lands, is the major factor affecting the lens. Furthermore, impacts of environmental changes when effected into the Kish Island aquifer optimization management plan have led to a reduction of more than 20% in the allowable water extraction, indicating the high sensitivity of groundwater resources management plans in small islands to such variations. Ketabchi, H., and Ataie-Ashtiani, B. (2015). “Assessment of a parallel evolutionary optimization approach for efficient management of coastal aquifers.” Environ. Modell. Softw. 74, 21-38. Ataie-Ashtiani, B., Ketabchi, H., and Rajabi, M.M. (2014). “Optimal management of freshwater lens in a small island using surrogate models and evolutionary algorithms.” J. Hydrol. Eng., 19 (2), 339-354. Ataie-Ashtiani, B., Rajabi, M.M., and Ketabchi, H. (2013). “Inverse modeling for freshwater lens in small islands: Kish Island, Persian Gulf.” Hydrol. Process, 27, 2759-2773. Amy, Y.L., and Hilton, B.C. (2007). “Short communication optimal groundwater monitoring design using an ant colony optimization paradigm.” Environ.Modell. Softw., 22, 110-116. Gaur, S., Chahar, B.R., and Graillot, D. (2011). “Analytic elements method and particle swarm optimization based simulation-optimization model for groundwater management.” J. Hyd., 402 (3), 217-227. Ayvaz, M.T. (2009). “ Application of harmony search algorithm to the solution of groundwater management models.” Adv. Water. Resour., 32, 916-924. 10. Ayvaz, M.T., and Elci, A. (2013). “A groundwater management tool for solving the pumping cost minimization problem for the Tahtali watershed (Izmir-Turkey) using hybrid HS-Solver optimization algorithm.” J. Hyd., 478, 63-76. 11. Ketabchi, H., and Ataie-Ashtiani, B. (2015). “Evolutionary algorithms for the optimal management of coastal groundwater: A comparative study toward future challenges.” J. Hyd., 520, 193-213. 12. Ketabchi, H., and Ataie-Ashtiani, B. (2015). “Review: Coastal groundwater optimization - advances, challenges, and practical solutions. Special Issue Optimization for Groundwater Characterization and Management.” Hydrogol J., 23(6), 1129-1154. 13. Mahmoodzadeh, D., Ketabchi, H., Ataie-Ashtiani, B., and Simmons, C.T. (2014). “Conceptualization of a fresh groundwater lens influenced by climate change: A modeling study of an arid-region island in the Persian Gulf, Iran.” J. Hyd., 519, 399-413. 15. Ataie-Ashtiani, B., and Ketabchi, H. (2011). “Elitist continuous ant colony optimization algorithm for optimal management of coastal aquifers.” Water Resour. Manage., 25, 165-190. 18. Sreekanth, J., and Datta, B. (2014). “Stochastic and robust multi-objective optimal management of pumping from coastal aquifers under parameter uncertainty.” Water Resour. Manage., 28(7), 2005-2019. 19. Voss, C.I., and Provost, A.M. (2010). SUTRA: A model for saturated-unsaturated, variable-density groundwater flow with solute or energy transport, USGS Water-Resources Investigations Report, 02-4231, USA. 20. Michael, H.A., Russoniello, C.J., and Byron, L.A. (2013). “Global assessment of vulnerability to sea-level rise in topography-limited and recharge-limited coastal groundwater systems.” Water Resour Res., 49(4), 2228-2240. 21. Afshar, M.H., Ketabchi, H., and Rasa, E. (2006). “Elitist continuous ant colony optimization algorithm: Application to reservoir operation problems.” Inter. J. Civil. Eng., 4(4), 274-285. 23. Ataie-Ashtiani, B., Werner, A.D., Simmons, C.T., Morgan, L.K., and Lu, C. (2013). “How important is the impact of land-surface inundation on seawater intrusion caused by sea-level rise?.” Hydrogol. J., 21(7), 1673-1677. 24. International Panel on Climate Change (IPCC). Climate Change. (2013). The physical science basis, Working group 1 contribution to the fifth assessment report of the international panel on climate change, Cambridge, New York. 25. Ketabchi, H., Mahmoodzadeh, D., Ataie-Ashtiani, B., Werner, A.D., and Simmons, C.T. (2014). “Sea-level rise impact on fresh groundwater lenses in two-layer small islands.” Hydrol Process, 28, 5938-5953.